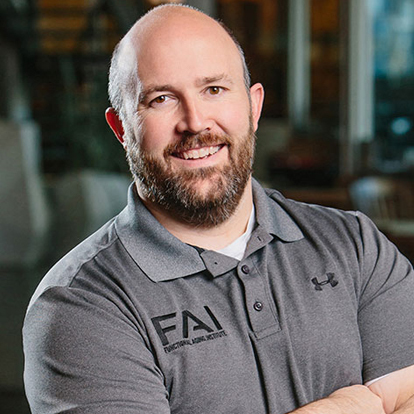 Dan is an NSCA Certified Strength and Conditioning Specialist, a FallProof Balance and Mobility Enhancement Specialist and an Enhance Fitness Master Trainer. He has a broad background in the fitness industry including training and management in commercial, university and hospitalbased fitness centers. He is currently owner and manager of Miracles Fitness, a successful small group and personal training facility specializing in mature adults. His primary area of expertise is functional assessment and exercise for older clients. Additional areas include training for special populations (Parkinson’s, multiple sclerosis, Fibromyalgia, etc. ), pregnancy and athletes. He has worked with Division I athletes including some that have been drafted to their professional sport. Dan regularly presents at national and regional conferences including DCAC, ICAA, Athletic Business, ACSM, National Council on Aging and others.